If you didn’t know Chief Pat and Galadon both went out to Helsinki (Supercell’s HQ) to do something special. They left us hanging for a while, not telling us what they were doing out there. 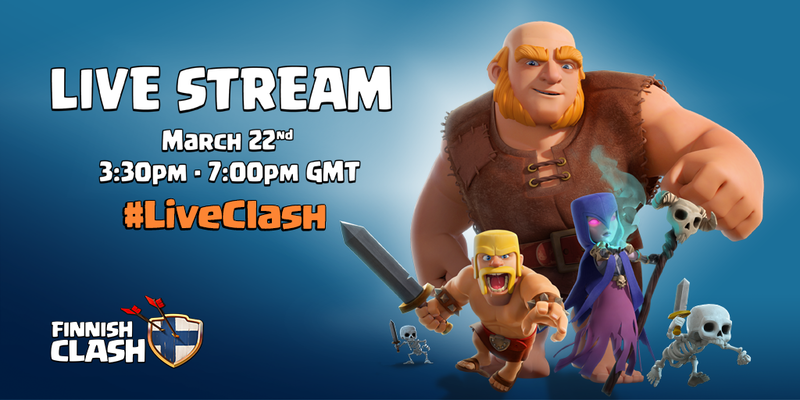 Well, it turns out, they were putting together a Clash tournament. Basically as an overview, Supercell had the BEST Finnish clans come out to their HQ. There, the clans had to compete with one another to see who could get the most trophies and ultimately, highest on the clan leaderboards. They all sat together in a group, raiding over and over again, trying to gain those trophies. The entire Finnish tournament was streamed live on Twitch and YouTube and was hosted by Chief Pat and Galadon in a SportsCenter-like atmosphere. 3. The most trophies wins! 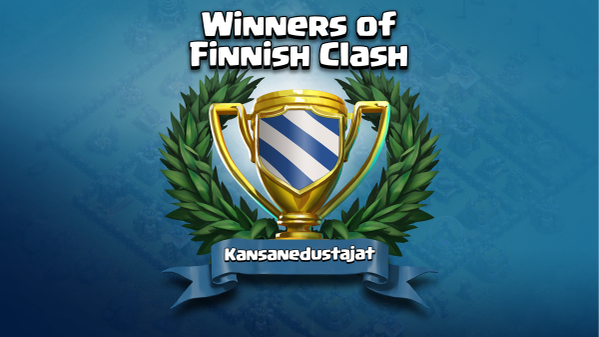 Anyways, the top clan ended up being a surprise- Kansanedustajat! They had never won before, and they upset clans such as F1nland and FINLANDIA. It was quite a fun time and cool to see the whole tournament come together! New Single Player Maps in June 2015 Update? x0.5 Replay Speed in Next Update?! ← Conquering Boredom in Clash of Clans!